Now they're safe together — and have become moms and aunts. 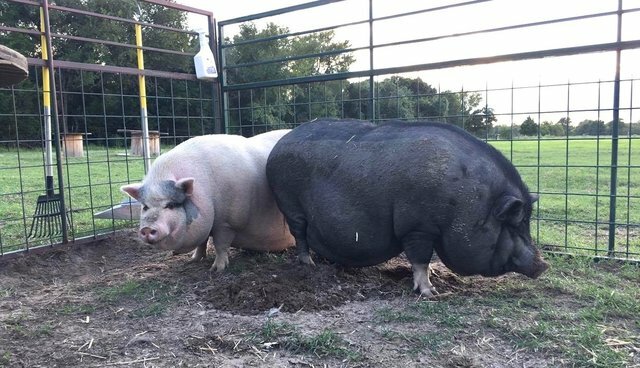 When a couple decided they wanted to start a pig rescue, their intentions were supposedly good - until things got completely out of hand, and they ended up with way more pigs than they had the means to care for. 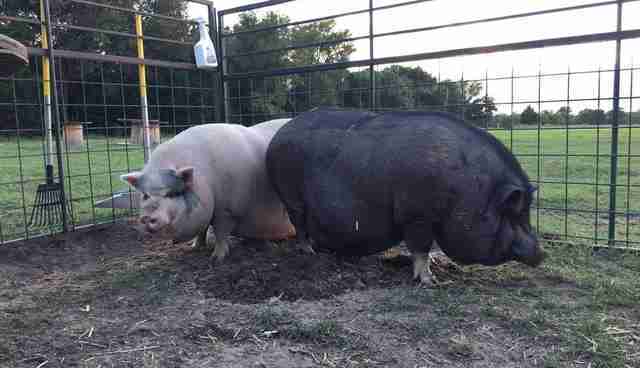 Many concerned citizens and rescues tried to come and get the pigs, according to Central Texas Pig Rescue, but the couple hesitated to let rescue groups on the property. So, rescuers had to get creative. By the time the rescue heard about the pigs, there were only 10 out of 30 left. Central Texas Pig Rescue was finally able to gain access to the property, and found the pigs living in extremely unsuitable conditions. 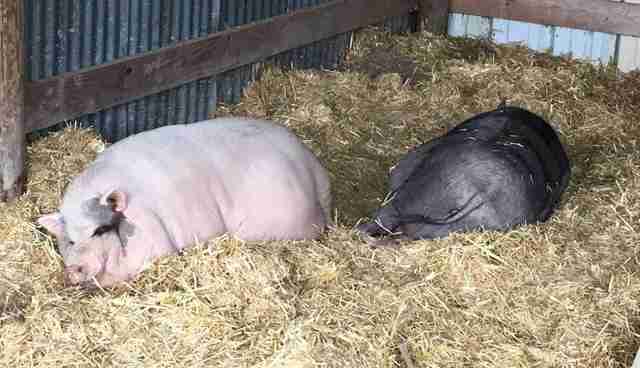 Rescuers knew they had to get those pigs out of there, as quickly as they could. Central Texas Pig Rescue was able to get Cora, Maria and Claire off the property immediately, and came back for Vivian a week later. 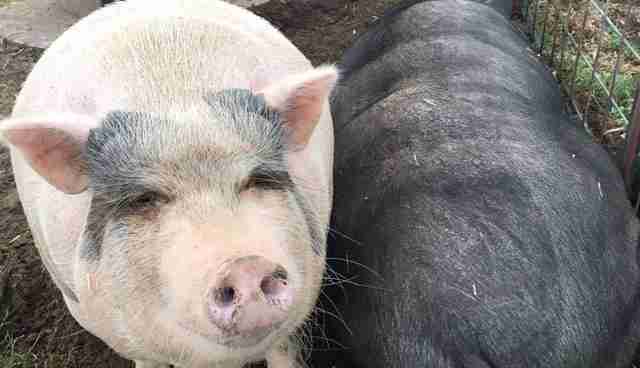 When the neglected pigs arrived at the rescue, they were still very scared and unsure. They'd already been through so much, and were exhausted from it all. Due to the stress of her former living conditions and being moved to a new home so quickly, pregnant Maria went into premature labor and, sadly, all of her babies were stillborn. Maria was distraught after losing her babies, but there was someone who was able to bring her comfort - her very best friend, Vivian. 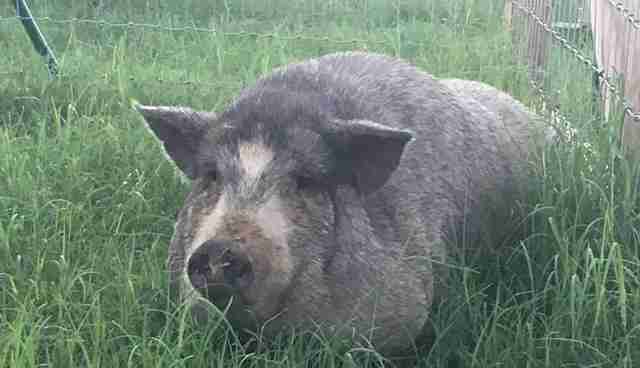 "The following week when we brought Vivian home, they immediately ran to each other and we realized that Vivian is likely Maria's mama," Dan Illescas of Central Texas Pig Rescue told The Dodo. "Their bond is so sweet and strong - she has helped Maria get over her loss and they are becoming more comfortable and beginning to have fun with their life here." Claire and Cora are also best friends, and spend every waking moment together. 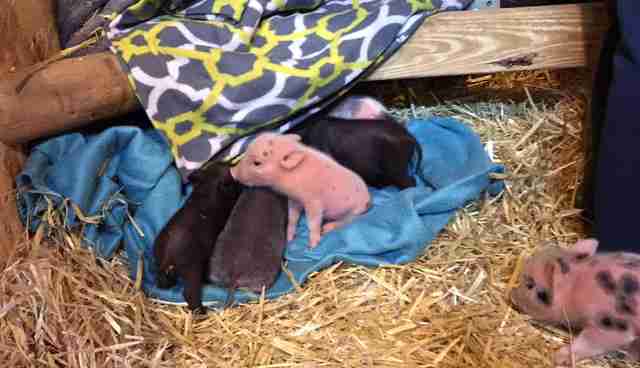 After Maria lost her babies, rescuers were worried about Claire and Cora, who were also said to be pregnant - but amazingly, Cora recently gave birth to seven healthy piglets. Both mom and babies are doing great, and all four pigs are learning to feel safe and loved in their new home. "All four girls are well on their way to a full emotional recovery and we are very happy and proud of them with their progress so far," Illescas said. A representative from the Sheriff's Office told The Dodo on Tuesday afternoon that they are investigating and would be able to comment after they had paid a visit to the property. They did not immediately call back.